Dwight, thanks so much for addressing this subject. This past year my kids participated in AWANA at a local Baptist church. I appreciate AWANA in the respect that it enforces the importance of Bible memorization for my kids. What I don’t appreciate is how it presents salvation as a “get out of Hell free card”. We are saved because we want to go to Heaven when we die. I heard this again from a visiting family singing ministry to our church. 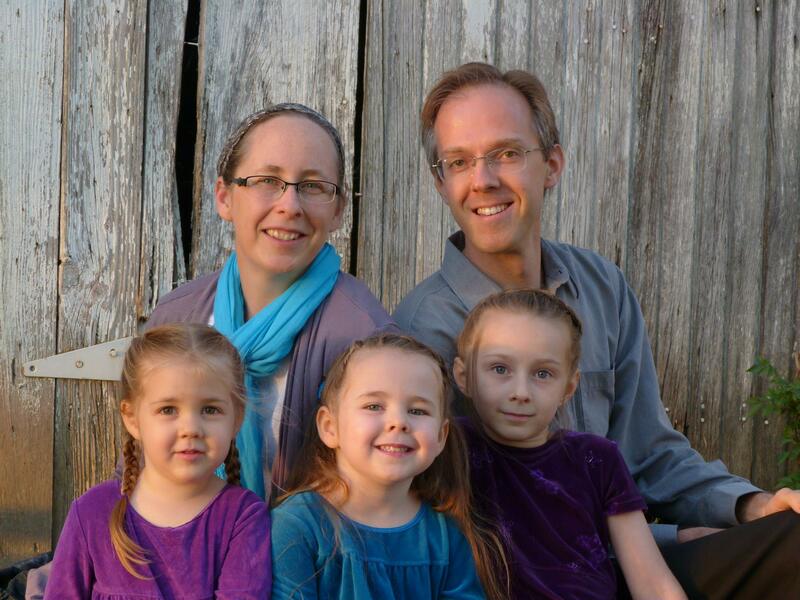 This family has a prison ministry which was helped launch by another well-known Mennonite prison ministry. I heard this question a few times that evening: “Have you made YOUR reservation [to get into Heaven]?” To me, this question is so nearsighted and so badly misses a huge aspect of salvation. And that is that we are saved in order to be His ambassadors to carry out the ministry of reconciliation here on this earth. “This world is not my home, I’m just a’passin’ through”, really misses the point of why Christ came to earth and what our response should be to His work in our lives. Anyway, I could go on. Thanks again for your thoughts. Thank you, Conrad. I agree with what you wrote. There are some individual Scripture passages (such as Hebrews 11) which indeed sound very much like “This world is not my home, I’m just a’passin’ through.” So I don’t want to miss that element of eschatological truth. But I much agree that when it becomes a way to overlook or escape our mission here, we are off balance. Paul the prisoner told the Philippian church “It is better for you that I remain here”; he had a clear sense of earthly mission even while being clear that his citizenship was in heaven. Very, very good, brother. I like the thoughts here, and you are only extrapolating what Jesus has already said, so you are on good footing. May God help us. Within the plain Anabaptist community, I think it is safe to say that fewer than 1 in 100 couples/families is willing to move into an urban center for a church planting endeavor. The reasons? Mostly about protecting the children, some about wanting nature and woods and hunting and fishing, some about being near baby-sitters and grandparents, but some also about space and parking and comfort. Into the world we go, fully recognizing we are not of the world. Thank you, Rich. Yes, may God help us all to put Christ’s words of mission into action. Words are so much easier than deeds! But these two senses of our transitory place in the world are very different. The “in the world” transitory view tends to see us as “putting in time” till Jesus “calls us home.” But the “into the world” transitory view sees us as actively traveling through this world, being on mission or on quest until either Jesus calls us to himself (temporary heaven) or Jesus “brings home to us” (eternal reward) when the new heaven joins the new earth. I am excited to see the shift in the present generation regarding evangelism! The points in this article have been heavy on my heart for a long time. Thanks for writing it! Now a quick question……you refer to Jesus as the second person in the trinity. I have been challenged on this term by the Oneness Doctrine by a friend. I’m studying deeper and have not drawn conclusions yet but it is raising questions I had never considered before. If God and Jesus and the Holy Spirit are one, why do we say ‘Second Person in the Trinity’? Have you heard the claims that this began to be taught by the Catholic Church in the third century? I have more questions than answers! Thanks for your encouragement, Anon. Regarding your question: The term “Trinity” is not in the Bible, but the concept is there. Scriptures makes it clear that God is indeed one, but he is also three. The Oneness Doctrine is not faithful to biblical truth. Here are a couple links for more reading. The first is short and easy, the second is long and weighty. Blessings! I am no Greek scholar, so forgive me if this is inaccurate, but I have read before that “born again” in John 3 can also be translated “born from above”. So, in this sense , we too are called to be “from above”. Thanks Dwight for the good reminder that we are called to be a light in this world. I think the passion to “go into” the world for ministry is building in conservative Anabaptist circles – and I do not think that “go into” the world need only refer to moving into the city, but more generally means interacting and “discipling” those outside our comfortable Christian communities. In my country, many rural communities are affected by high rates of suicide in young men, domestic violence, alcoholism and other such issues so are full of ministry opportunities too. David, agreed on all fronts. The born again/from above passage connects well with what I was pondering in the blog. And I’ve heard that rural America is becoming the new “inner city” as far as economic and social needs go. May those of us who live there live as sent ones, too. Indeed, “the Son of Man came not to be served but to serve,” and “whoever says he abides in him ought to walk in the same way in which he walked.” This is a tall order and a wonderfully gracious calling, and quite at odds with most of what happens in the world of politics. God bless you as you seek to walk in Jesus’ steps!